So is print really dead? Is it going to die anytime soon? In this post-digital age, digital technology is no longer a revolutionary phenomenon but a normal part of everyday life. For the world of book and magazine publishing, however, this transformation has only begun. Alessandro Ludovico rereads the history of avant-garde arts as a prehistory of cutting through the so-called dichotomy between paper and electronics. 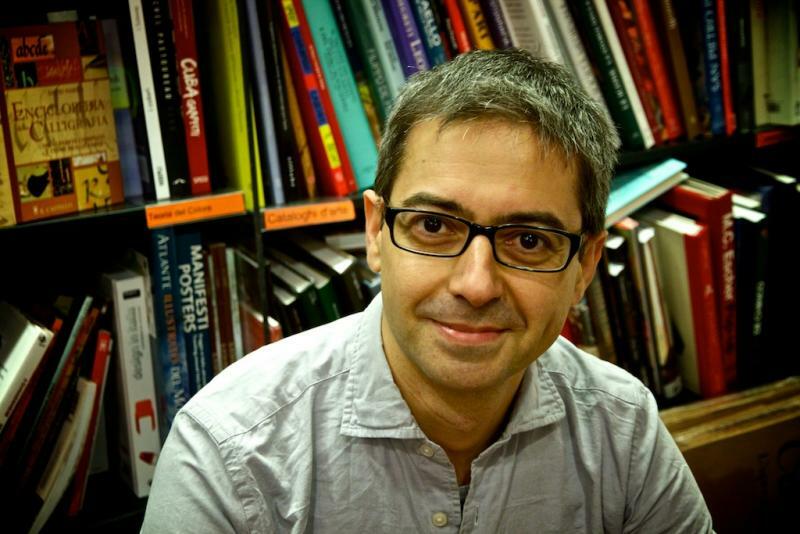 Alessandro Ludovico is an artist, media critic and editor in chief of NEURAL Magazine since 1993. It’s happening right now—and it is happening faster than anyone predicted. Information is power. What’s happening now. Strategize what and how you want to contribute. What comes next when all books are truly digital, connected, and ubiquitous? Essays from thought leaders and practitioners on a wide range of developments occurring in the wake of this digital book shakeup. This unusual book comes from an unusual place for cutting-edge books. The Graphic Design Museum, Valiz & Institute of Network Cultures, and LUST, contains visionary texts about the future of reading and the status of the word. The book contains eye-opening thoughts from people engaged with reading from about any angle you can imagine: journalists, designers, researchers, politicians, philosophers and many others. It is a “combinatorial” book in the sense that it is a fascinating integration of writing and design. An attempt to re-conceive the very idea of a book while discussing how books and reading have and will change. It’s a kind of field research into writing and reading. The indexes alone are half the fun. First, there is the Index on First 140 Characters of Essay. The second is an actual Index of Word Frequency. Bet you’ve never seen that before! The word count and time it would take to read the essay aloud accompanies each essay title. Finally, the Index on Related Subjects makes up at least 1/3 of the book, contains a copious supply of idiomatic phrases and terms used in our current reading and writing culture. That’s not even to mention the many brilliant insights and ideas contained in this relatively short unit of essays. The overall idea is that we read anytime and anywhere. We read on screens, we read out on the streets, we read in the office but less and less we read a long book at home on the couch. We are, or are becoming, a different type of reader. Reading is becoming a different experience. We carry complete libraries in our pockets. Books have become part of the multimedia world, they can be shared between platforms. Do all these extra possibilities add value or are they a mere distraction? We read the text as much as we read the interface. With similar ease, we read newspaper articles as well as search engines, databases and navigational structures. Texts and images become interchangeable, creating new forms of information. Differences in content and between readers require different shapes and experiences. The question remains which shape will it take and what experience does one want?